I will give you my life and experience in name numerology as an example. 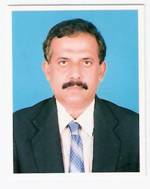 I am Velayudhan K R. I work in Dubai and joined here as a administrative manager. Set up an office within 6 months without any kind of gulf experience. After that I have been on a downhill, I don't understand why my performance is class but no benefits, or people misunderstand me or what I can't understand. what could be the reasons? If you can suggest some remedies by name numerology for success, I would be much obliged. My personality is good and striking and many people have told me that my name does not suit my personality. What is the remedy? VELAYUDHAN K R is a good name for certain persons depending on their birth date numerology numbers. If the name number does not suit the birth day numbers, then you will be unlucky. Even good food is poison to some one else. Human beings are designed that way. Stop worrying. A name has to be made perfect not only as per name numerology. It must also be correct as per astrology. If I ask a question if a name is lucky and when I apply horary astrology, the answer should be a clear yes in my test for correctness. If it fails, I reject that name however nice looking it is. ENIKU ITHUVAREYUM PERMANENTAY ORU JOLI KITEELA.THEN EPOZHAVUM ENTE MARRIGE? NJAN ORU CLASSICAL SINGER KOODI ANU.BUT MUSIC FIELDILUM FAME KITTUNNILLA.